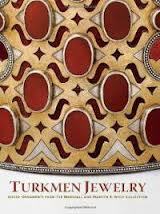 This exhibit displays the metal and stone-set jewelry of the nomadic Turkmen people of Central Asia. 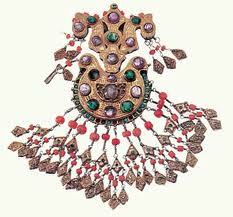 Turkmen women’s jewelry consisted of headgear in the form of crowns, caps, headbands, and braid ornaments; pendants attached to headdresses and suspended on either side of the head; earrings; pectoral and dorsal ornaments; amulet holders; appliqués for clothing; armbands; and rings. 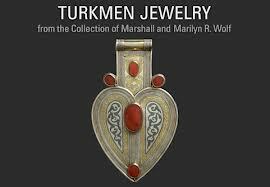 The exhibition is organized according to the principal techniques employed by Turkmen silversmiths. One grouping shows fire gilding, a technique in which gold filings—possibly obtained from coins—were combined with mercury in a paste that was brushed onto prepared silver; heat drove off the mercury, and the remaining gold was burnished to a brilliant sheen. 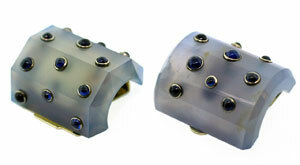 Other items feature stamped beading that was produced by stamping metal from behind to obtain the appearance of individual beads or granulation on the front. 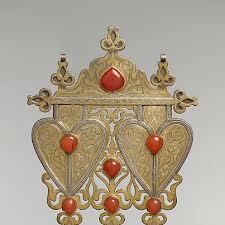 A third section focuses on the inlay of carnelian and turquoise using bezels. The fourth major technique— openwork decoration—involved the use of a chisel or fine fret saw to cut through silver sheets. The surface decoration is typically represented by a repetition of objects or motifs — such as lozenges, squares, ovals and diamonds. There are style variations from tribal group to tribal group within this vast area the Turkmen people occupy. I always like to get inspired by ethnic designs, ornamentation and construction techniques. 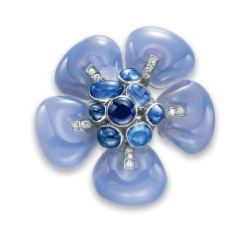 Suzanne Belperron was a successful jeweler, widely influential. 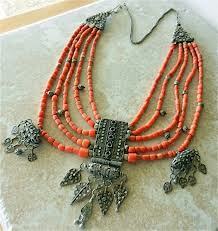 She was one of the few female jewelry designers of her time. 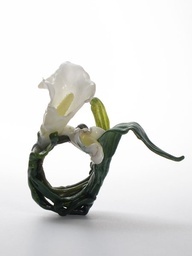 Her daring creations remain today of extraordinary modernity and aesthetics. She began her career in 1919 at age 19. She died in 1983. 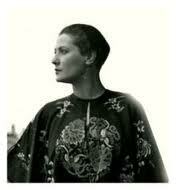 Her life and career spanned the modern movement in the arts, feminism and the emergence of fashion as a big business. 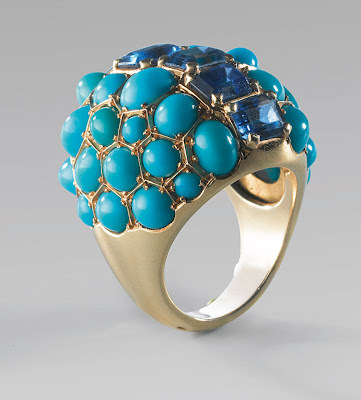 Her style reflected the movement in the jewelry design field away from very ornamental pieces, to those which emphasize bold forms. Her creations appeared in the most influential fashion magazines of the time, including Vogue and Harper’s Bazaar. 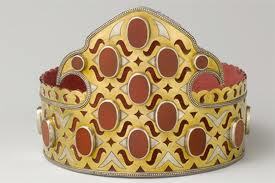 Her clients included royalty, celebrities and aristocrats. 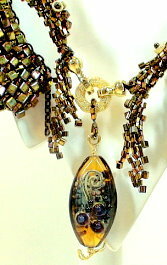 She introduced unprecedented combinations of stones and minerals in her designs. Gisbert Stach – Making Art or Jewelry? I read this blog post about Gisbert Stach recently. Intriguing. 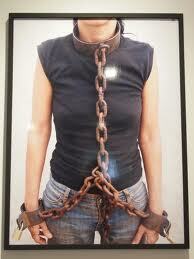 Could some art, displayed like jewelry, not be considered jewelry? The “art” is definitely here, expressed through symbolic paradoxes and juxtapositions. The juxtaposition of jewelry and wearer evokes a response of the viewer, and makes the viewer think about what is acceptable/unacceptable, satisfying, unsatisfying, jewelry/not jewelry. The use of materials evokes the contemporary, but at the same time, reminds one of ethnic ornamentation and the historical. There is an unsettling sense of the need and desire for ornamentation, and the ability of the body to support it.